PRINCETON, N.J., July 11, 2016 (SEND2PRESS NEWSWIRE) –- Inventions Oasis is seeking a joint venture partner to help bring to market a new patent-pending product – the Sav–A-Lot™ – a commercial-grade, milk and sugar dispenser designed for coffee shops and fast food restaurants. How does Sav-A-Lot work? It dispenses whole, skim or half and half through a one-touch button or by lifting a feather-touch lever. 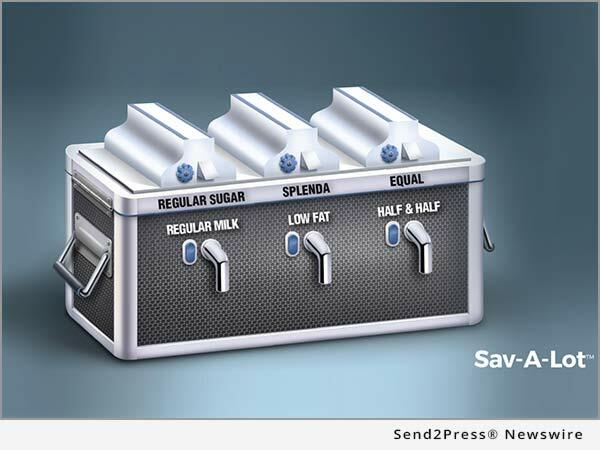 Three types of sweeteners (regular, Splenda® and Equal®) are dispensed the same way. This attractive stainless steel, hygienic refrigerated device uses NASA-developed technology – solid state cooling chips – to keep the milk cool. The machine is 100 percent hygienic because the milk never touches any part of the dispenser. Store bought milk containers and supplied straws are disposed. After that the next containers are easily loaded and there is never a need to fill and clean the flasks. When it comes to sugar, Shaam Sundhar, the inventor behind the product and founder of Inventions Oasis, poses that a pound of loose sugar costs about $2, but a pound of packaged sugar costs a whopping $15. That’s a huge difference. In addition, people often grab a handful of packets for their personal use at a later date. 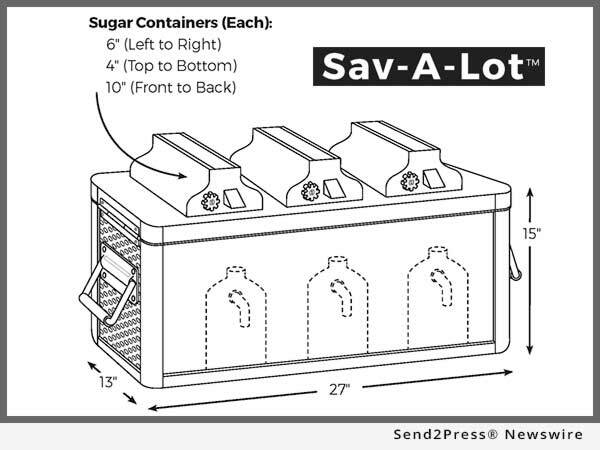 Sav–A-Lot dispenses loose sugar one teaspoon at a time. So, when you factor in the labor cost involved for filling the flasks with milk and cleaning them combined with the sugar savings, the financial savings becomes significant. And, customers will appreciate the added one-touch convenience too. Sundhar says that the break-even point for the business is fewer than six and a half months when the Sav-A-Lot is purchased at MSRP. The product is manufactured in Flemington, N.J. at a cost less than one-third of MSRP, so the profit margin is impressive. Sundhar believes that this new product has the potential to shake up the coffee world. “As a result of this technology, there’s no compressor or other bulky components of conventional refrigeration to worry about. This in addition to the astronomical savings to the businesses and convenience to their customers,” Sundhar concludes. Inventions Oasis is a “New Ideas” research and development company. It was founded more than 35 years ago by Shaam Sundhar, a former electrical engineering professor. Sundhar has 16 granted patents and many others that are pending. For more information about the inventor, patents, other products manufactured and technologies used, visit: http://inventions-oasis.com/. News Source: Inventions Oasis, Inc.
"Consider this," inventor Shaam Sundhar says. "Starbucks alone has more than 22,000 shops, so the potential for sales is huge. And when companies find out that they can save on time, product loss and labor, the sky's the limit." More from Inventions Oasis, Inc.
Based in Princeton, N.J., Inventions Oasis, Inc. is a "New Ideas" research and development company. It was founded more than 35 years ago by Shaam Sundhar, a former electrical engineering professor. Sundhar has 16 granted patents and many others that are pending. Inventions Oasis, as the name implies, is the “Oasis for the new inventions and Technologies.” New inventions and Technologies are the harbinger of prosperity throughout the world. RSS News Feed for Inventions Oasis, Inc.